How do I invite new team members to my radio station? Adding staff to your Zeno Tools account. You can invite staff members via the People section at the management area of your radio station. 1. Login to your account on tools.zenoradio.com. 3. Click on ADD PEOPLE. 4. 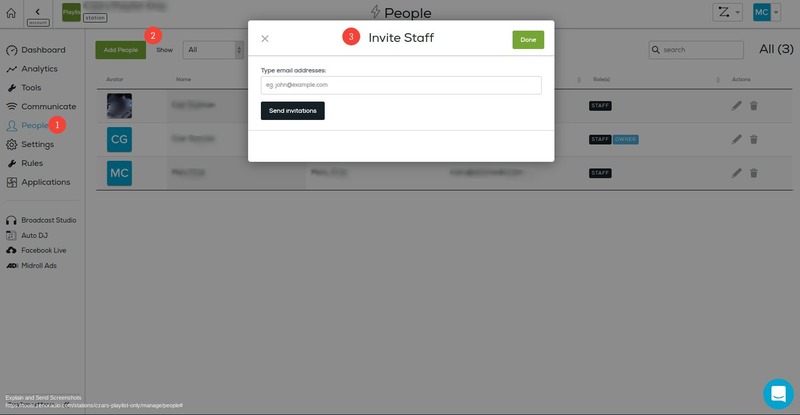 Invite the staff member by simply typing in their email and sending them the invitation. The user will need to accept the invitation and login to tools.zenoradio.com in order to start managing the account.